is a member of the Legal and Technical Commission of the International Seabed Authority from 2017 to 2021. It has been ten years since States at the United Nations (UN) adopted a resolution (61/105) recognizing the destructive impact of deep ocean bottom fishing in areas beyond national jurisdiction (the high seas). The original resolution called for rigorous measures to protect the highly vulnerable habitats and biodiversity of the deep and a second resolution (64/72) three years later, strengthened this. It was a landmark moment for ocean protection as we recognized the importance of preserving the biodiversity of remote areas of our global ocean, for all humankind. A review of implementation of the resolutions, held at the UN earlier this year, found that even though the decade has passed, bottom fishing is still causing the kind of damage we all sought to prevent. A single pass by a bottom trawler can leave a scar on the seabed or side of a seamount of up to one kilometer square. Mitigating that scale of impact is not easy and after ten years, it is time to conclude that it is not currently possible and that, at the very least, the most fragile deep sea habitats such as seamounts should be closed to the practice. The ocean is vital for the existence of all humankind, it is the engine of our planet driving weather, producing protein and contributing half our oxygen. Each year we understand more about the key role that the deep ocean plays within that and as an African nation we know that the ocean is vital to our development. The seamounts of the deep may be a long way from our land but their reach is felt and they are woven into our future. 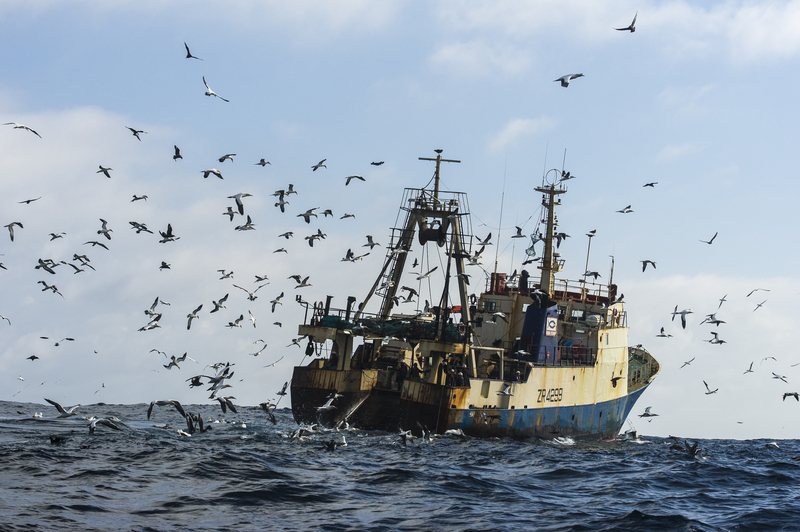 For this reason, South Africa is proposing that individually and through regional fisheries management organizations and arrangements, States do not authorize bottom trawl fishing on seamounts and other submarine features. We are further proposing that areas are set aside for closure to bottom fishing to allow for the recovery and regeneration of vulnerable marine ecosystems where they have been or likely been degraded or destroyed as a result of previous bottom fishing activity, as well as additional closed areas to provide for resilience for those species and habitats, such as cold water corals, that are under threat from ocean acidification and other stressors. Even with these measures, it is essential that we continue to review the implementation of the original resolutions in areas that are still being bottom fished and for this reason South Africa is proposing that we conduct a further review at the UN in 2020. Our hope is that a new resolution to this effect will go before the General Assembly when the seventy second session opens next month and that this will help to support the ocean resilience of importance to us all. Fisheries negotiations are being held at the UN in NYC between 7th and 15th November with the bottom fishing resolutions occurring on November 9th and 10th.